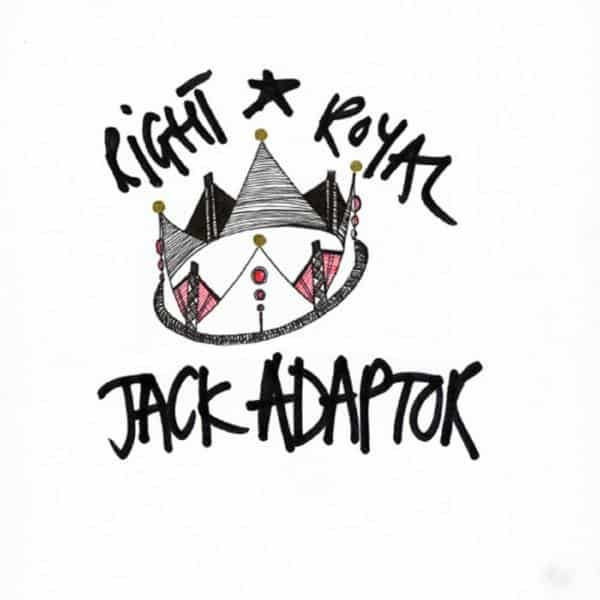 Right Royal is the third album from Jack Adaptor. It was recorded by CC in the summer of 2005, mainly on a Tascam digital 8-track machine. He sent the backing tracks from his East London lair to PF in Islington who, in the middle of a heat-wave and a manic episode, recorded the vocals on a green goblin harmonica microphone while lying on the floor of his blacked out bathroom (because if you turned the light on you could hear the extractor fan, and if you left the door open all you could hear was the traffic roaring down the City Road). CC mixed Right Royal at CW’s new Camberwell complex, as he’d been priced out of his West London premises, and the band got the LP released on their own Supple Pipe label as soon as they thought the thing was done. The sound of a mid-life crisis (the first of many) depicted as dishonestly as possible. The title, given PF’s republican convictions is deliciously ironic; the crown on the cover was by Sophie Webb who had worked with PF in a dingy LP emporium, the one bright spot the little touch of gold embossed on the sleeve.